After spurning a number of big-time college basketball programs, Shaka Smart finally decided to make the jump from VCU this past offseason, landing in Austin and immediately energizing the limping Texas program. After a rough adjustment period, Texas has become a serious force in the Big 12, and in the nation. Smart doesn't run his complete "Havoc" defense that he orchestrated at VCU, but the Longhorns still play aggressively on both sides of the ball and are hectic on the defensive side of the ball. Their backcourt is led by explosive Isaiah Taylor (their leader in assists and scoring) and underrated veteran Javan Felix. While the Longhorns lack ideal size, their depth and talent in the backcourt allows them to dictate tempo, a key component to upsets. And Texas has been no stranger to upsets this season, beating West Virginia twice, Iowa State and Baylor. 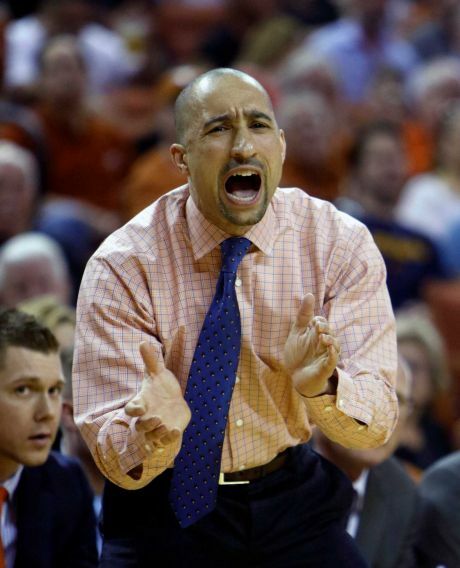 Shaka Smart is very familiar to NCAA Tournament success, and his first Texas team could wreak havoc much like his old VCU ones did. Valpo is no stranger to great March moments. In 1998, star guard Bryce Drew hit a clutch game winner against Ole Miss to lead the 13th-seeded Crusaders to an epic win, as part of a Sweet 16 run. Now, Drew is on the sidelines for a Crusaders team that is as balanced and fundamentally sound as any team in the nation. Valparaiso averages just 75.3 points per game (131st in the nation) but their offense is extremely efficient, headed by forward Alec Peters (who is shooting over 50 percent from the field), along with electric guard Keith Carter. While their defense may not exactly be lethal, Valpo makes a living on the defensive side of the ball, ranking in as the seventh best defense in the entire nation. They have excellent size which allows them to dominate the paint, and they rotate and play terrific help defense. The Crusaders have a couple of tough losses, with three losses to teams with RPI's ranking in over 150. But, experienced teams that play hard defense are always tough outs in March, and the Crusaders could become the next Horizon League team to do damage to brackets. It is hard to call a team that went to the Sweet 16 last year and could possibly earn as high as a No. 2 seed a dark horse, but Utah still appears to be extremely overlooked. The Utes have never been known as a basketball school, but Larry Krystiowak continues to work magic in Salt Lake City, thanks in large part to his big man Jakob Poetl. The Austrian center has grown into a more complete post, and has evolved into one of the country's best. Though, this Utes team has become more than just the seven-footer down low. Forward Jordan Loveridge is extremely versatile, and guard Brandon Taylor has picked up the slack in the backcourt for the departed Delon Wright. Utah has now won seven straight games, including wins against Arizona and USC. With the way they are playing right now, they very well could win the Pac-12 Tournament and continue their hot streak deep into the Tourney. This season in the West Coast Conference, it was supposed to be all about Gonzaga, like usual. The Bulldogs had just been to the Elite Eight, and there was enough talent throughout their roster to think they had a legit shot at their first Final Four in the Mark Few era. But, instead the conference has been all about the Gaels, a perennial NCAA Tournament contender. Over the past few years, Saint Mary's has been known as an offensive-orientated team with great guard play. This year the Gaels have been polar opposites, relying heavily on a stingy defense, holding opponents to just 60.4 points per game. Do-it-all guard Emmett Naar will lead the offense, along with veteran Joe Rahon. and Saint Mary's is actually a very deep team. They pass the ball as well as anybody and teams that have seen Wisconsin have success in the Tournament over the Bo Ryan era will see something similar in the Gaels. It may also be hard to qualify Stephen F. Austin as much of a dark horse in the NCAA Tournament these days. The tiny school from the Southland has gone to two straight Tournaments and been a popular dark horse pick in each (they beat VCU two years ago). The Lumberjacks started off this year slow, but then would end up going 18-0 in the Southland, behind the play of terrific forward Thomas Walkup, who did it all for SFA. While the Southland Conference isn't exactly full of college basketball heavyweights, it is still significant that SFA was able to be so dominant. The Lumberjacks will likely be a relatively poor seed this year, due to their bad non-conference play. That may be a good thing for Stephen F. Austin, as it gives them an opportunity to do damage without much expectations.